A fellow named Scott asked me to post some pictures and tell the story of the project that I am working on. In September of last year by request I posted my "Bucket List" on the Racing Studebaker's web site. Yes this is a real "Bucket List" like in the movie. I have been battling cancer for over four years and am not sure what the future holds. After three tumors you can't help but wonder. There were only four items on the list and the last one I felt was the least obtainable. 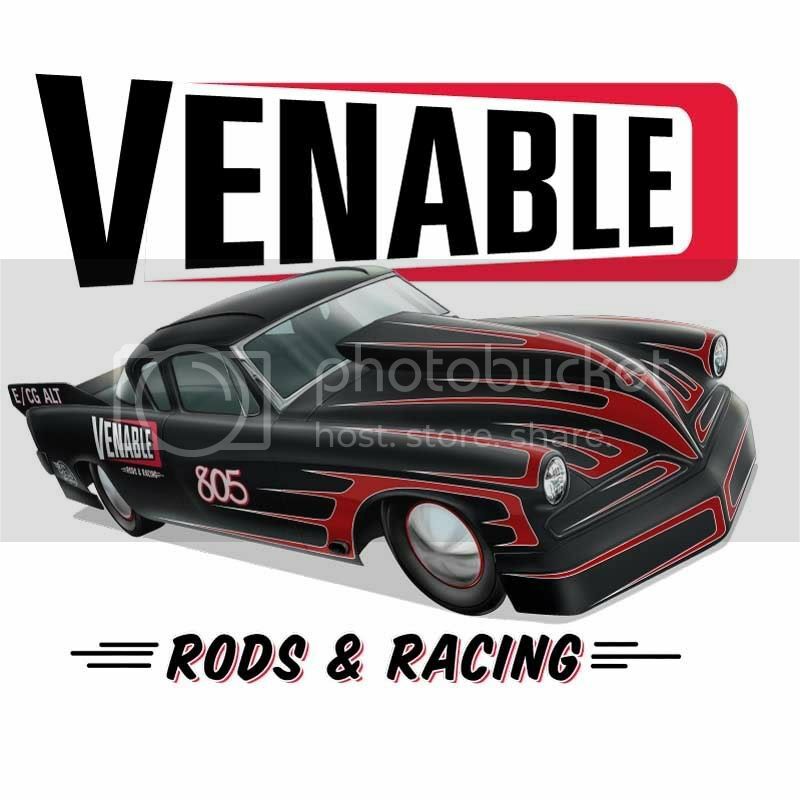 I wanted to drive a Studebaker on the Bonneville salt flats to experience speed flat out and for more than 7 or 8 seconds (drag racer in the past). 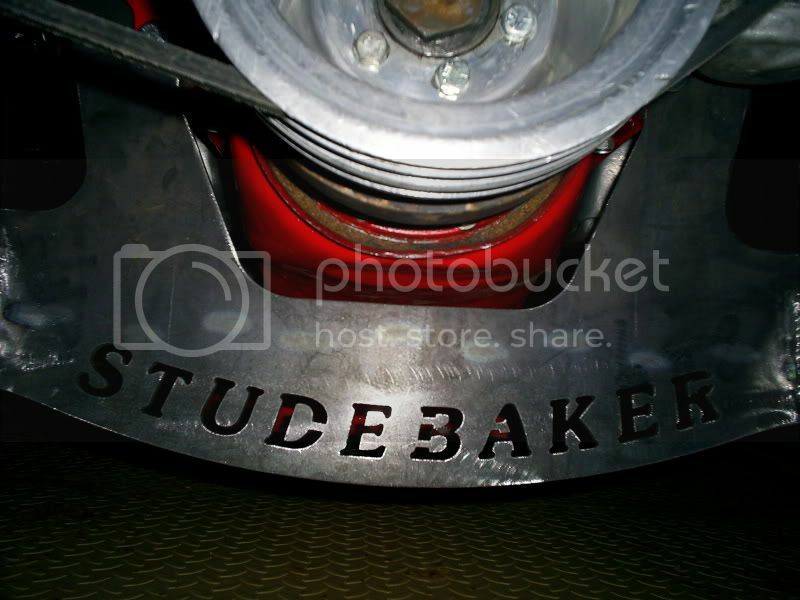 We should never underestimate the guys and gals who love Studebaker's and even more love making them go fast. I first thought I would be using this Harry Hoffman built '53 coupe. When that deal feel through I thought it would just die right there. 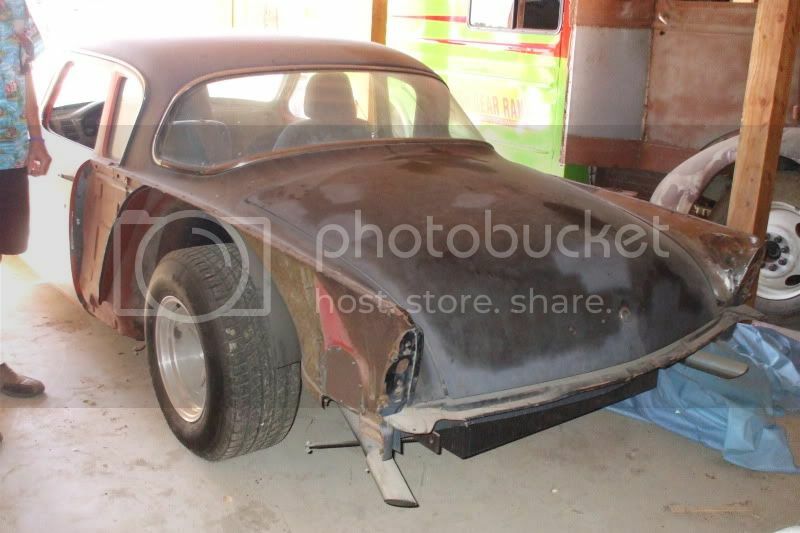 Then I got a message from a fellow who had rescued an old Bonneville car off of eBay. He offered to loan me the car so that I could go to Bonneville. The car was the #90 Bill Burke Avanti. I have assembled the history of this car to some degree and it truly is a "World Famous" Bonneville car. It was featured in a 1997 documentary by the BBC. I was floored and now as I learn just what type of machine I have been loaned I feel honored to be given the chance to restore this vintage machine to it's racing glory days. Here's a picture taken the first time I saw the car in December of last year. The car set a number of records, 15 that I have been able to verify so far. One is still on the books, 239,208 in C/CBFALT in 1979. The car has not been raced at Bonneville since 1997 to 2004 depending on who you talk to. It is basically sound. 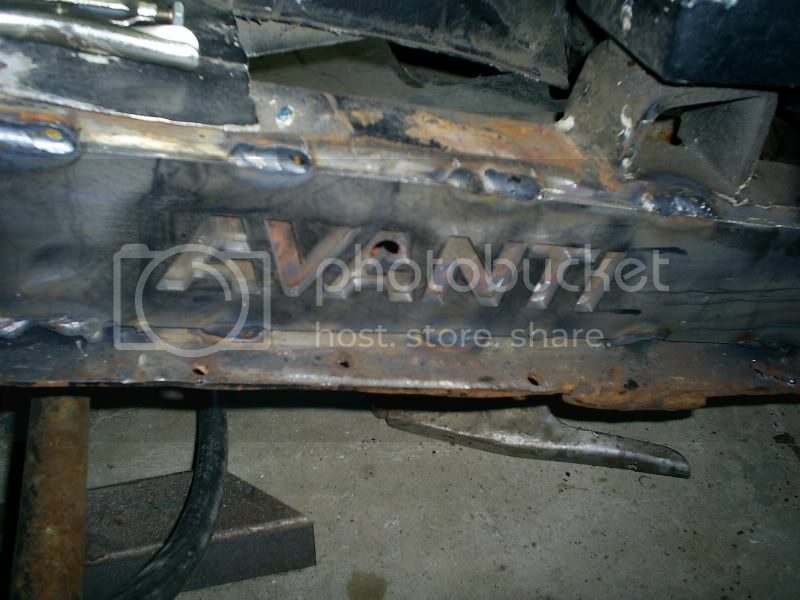 Some frame corrosion that is easily repairable. 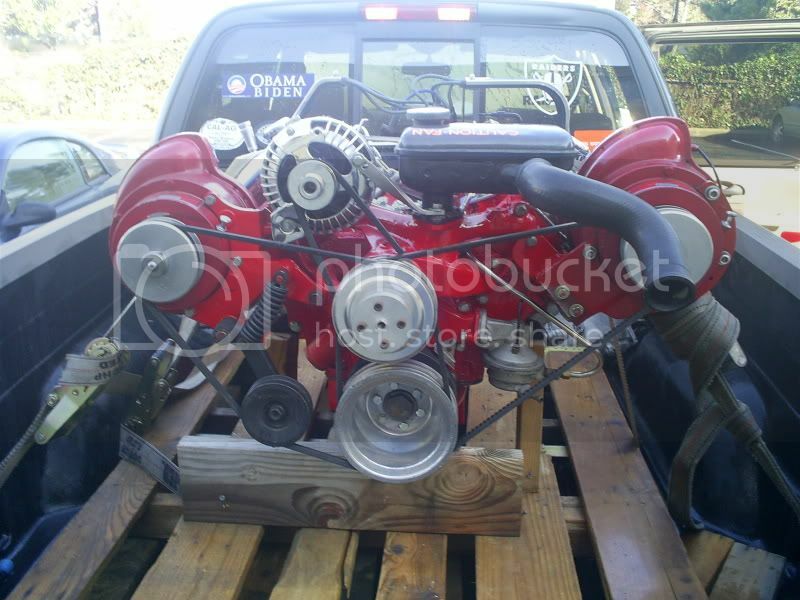 Since I am going the Nostalgic route I wanted to run a Studebaker engine. 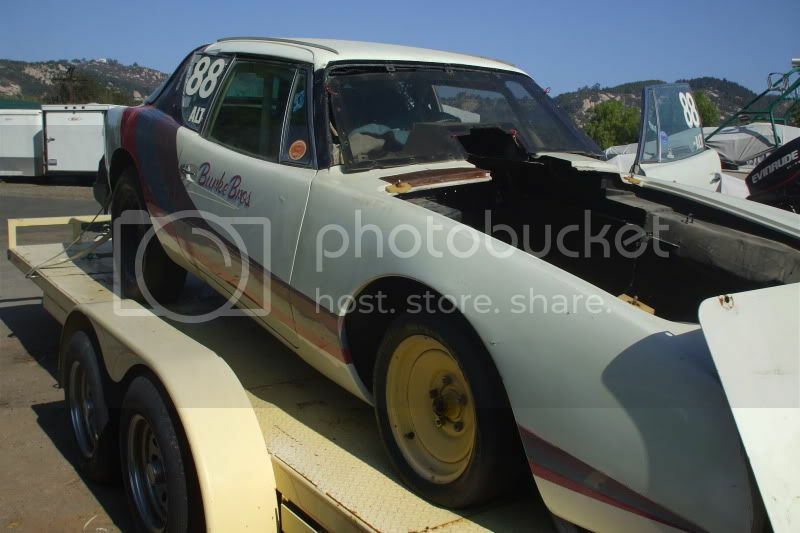 So another of the Racing Studebaker guys offered to loan me his Bonneville prepared 304 Avanti engine. 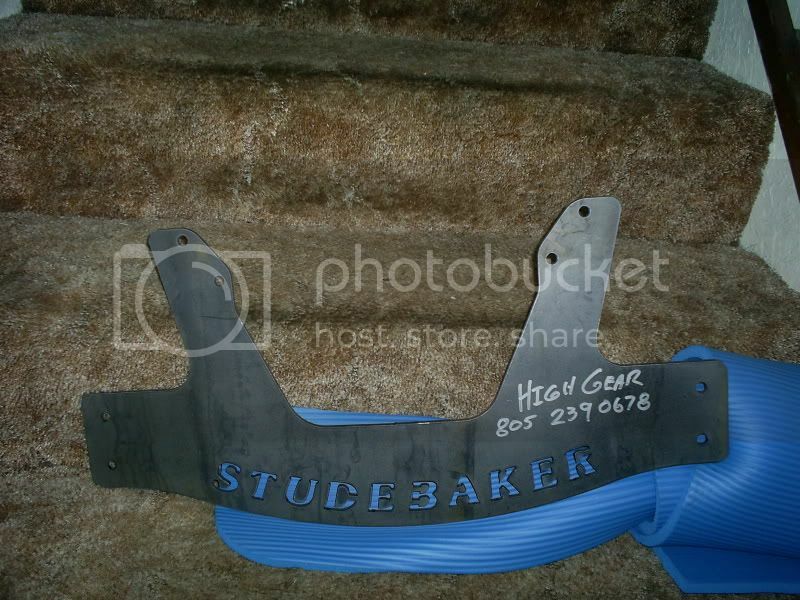 It was machined and engineered by last years record setter Jim Lange (D/CBGALT 223 MPH) and just needed to be finished. The owner has been working on this engine for years and the funny part is he doesn't own a car to put it in. So now it will have a home, at least for this year. 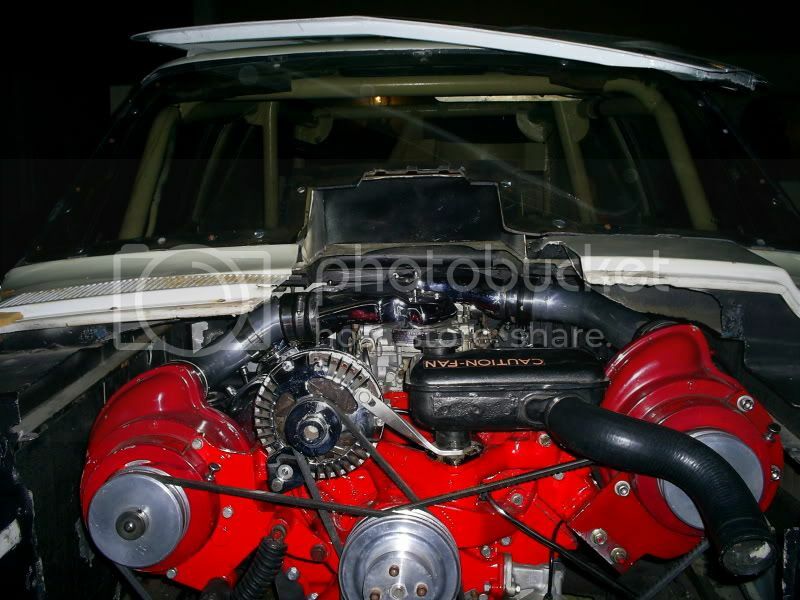 Since it will not be ready until June I needed an engine to use for El Mirage. 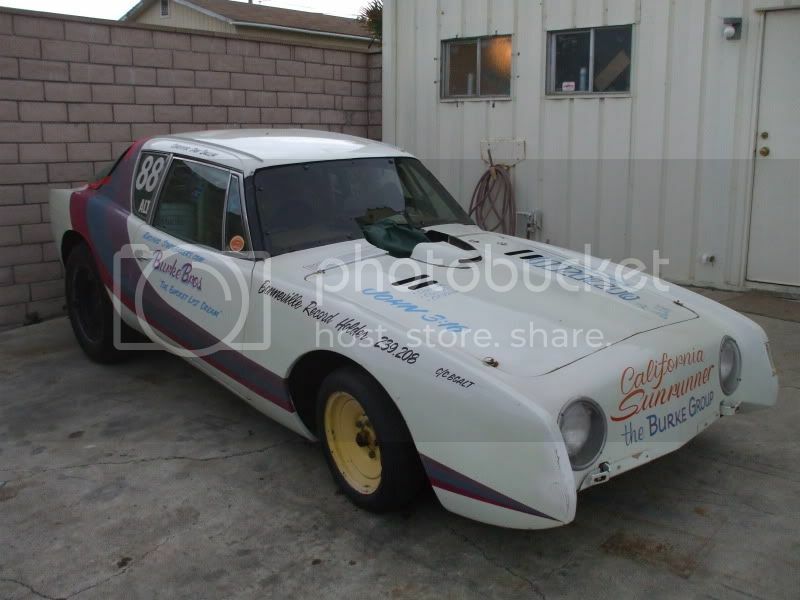 We want to get the car certified and do some shake down runs to see what needs to be done for Bonneville. 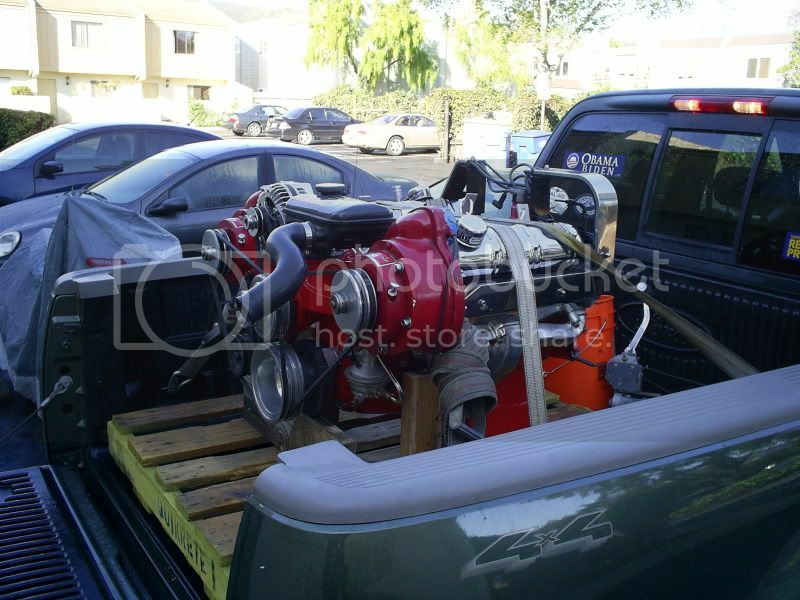 So another of the guys on RS offered to loan me his engine for El Mirage. Here's a picture. The work in the pictures is being performed by Pat King and the crew at High Gear Ranch in Paso Robles, CA. He is a veteran Bonneville driver and builder (The Raspberry Rocket and others) and he is doing a great job of getting the car ready to race and most importantly "Safe". Although this is a Bucket List, I don't really want to die in this car. Who knows they might find a way to cure my cancer. So safety is what we are after. Here's one more picture of the car the day my friend came over and applied the lettering. I really like that he kept the original lettering theme with the additions. So now you have the thumbnail sketch of the project. If there is any interest I will post more pictures and tell more of this amazing story of generosity and kindness. I pinch myself regularly to see if this is really happening. Everything you see has been donated in an effort to see me fill my Bucket List (hence the cars name The Bucket List Dream) and this is what makes land speed racing and the people who love it and the people who love Studebaker's some of the best people on this planet. Thanks for posting the build pictures Dan. I'm sure all will appreciate the passion that you are bringing to the sport. 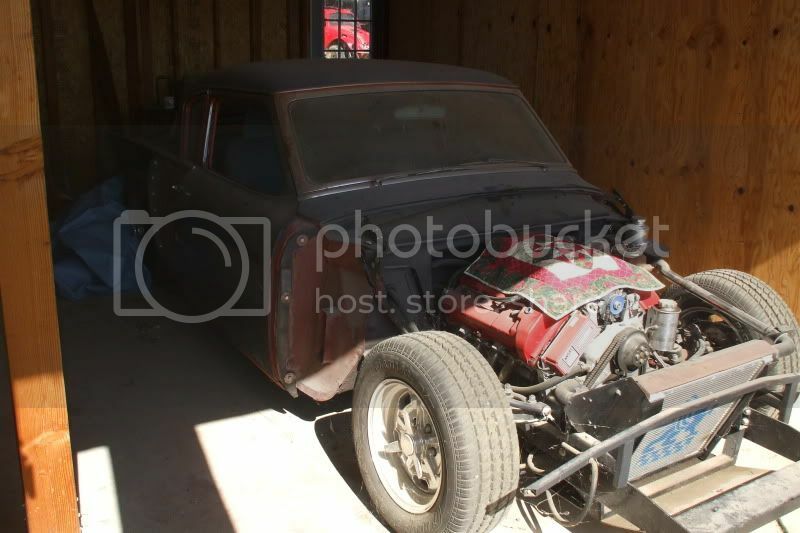 Its really impressive how the Studebaker land speed community are backing you. Good luck at El Mirage and I'll look for you at Speed Week. Any more pictures and info you can post will be viewed with much interest here. 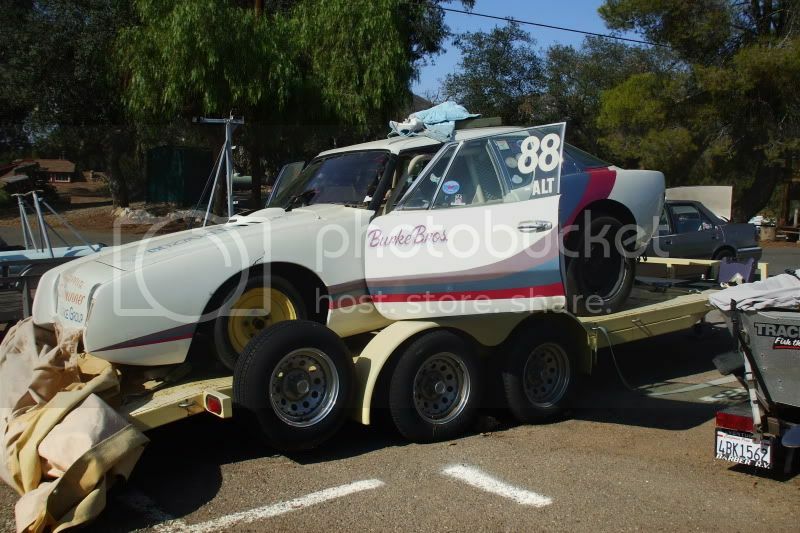 I remember seeing this car and the Burke family at Speedweek in the early '70's, brings back fond memories. Remember thinking then that 1/2 the remaining mid '50's Stude coupes in the world must have wound up at B'ville! Hope things work out well for you and the Stude Family team. Stay safe, have fun, and go fast. Bravo! From one old Studie guy to another. J.B.
all the best wishes for you and your health !!! ...and all the best wishes for your project here. though I've never seen one 'live'. Great to hear the progress everyone is making on this car, can't wait to see it run. 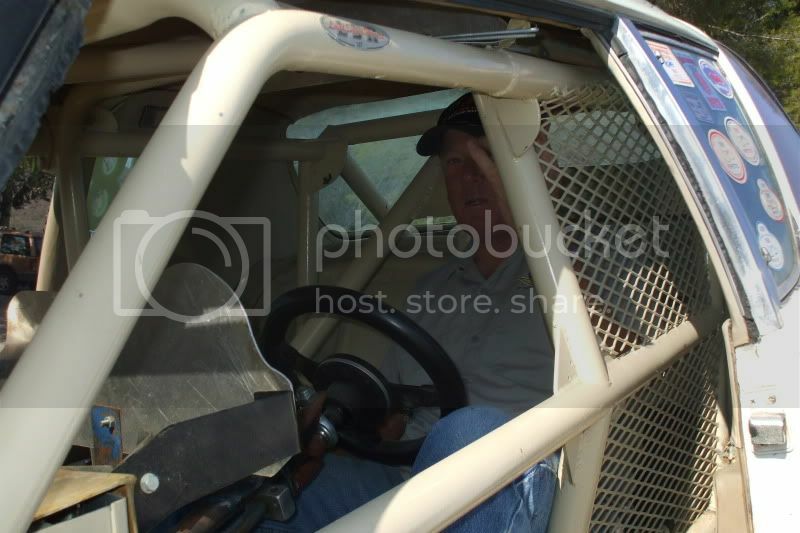 With the motor set back and the one picture of the cage, I'm wondering how gettin in and out works. Got any more photos? That's one Studebaker Charles ain't getting in. Stan,,, you are correct,,, I don't see how anyone is going to pass an exit drill... looks very safe and strong,,, but tight !!!! Cool! Looking forward to seeing the progress and you achieving a dream. "looks very safe and strong,,, but tight !!!!" Charles, I'm certain that you have dealt with "tight" at least once in your life. Maybe you exit the right side(?). That's what I was thinkin, how bout a roof hatch? Anything in the rules say the doors have to be funtional? Great car Dan, thanks for posting over here, need more pictures. Great car & I wish you much luck.